Image via WikipediaUnder Point #13 of Christie's 15 Point Plan for flood relief, the NJDEP will ask the Army Corps of Engineers to re-evaluate the feasibility of larger scale flood prevention projects such as flood walls, levees, and a flood tunnel. A flood tunnel would take 10 years to complete and has been previously rejected by the state as too expensive, offering a lot of benefit, but only for a small percentage of the population who would end up paying for it (New Jerseyans). It would be more than challenging to try to capture the entire history of the flood tunnel (which was suggested originally in the early part of the 20th century), but suffice to say if you have an interest in the topic much more information is available elsewhere. • The Army Corps expects the PMP to be completed by the end of the year. • The DEP met with the Army Corps. DEP will send a letter to the Army Corps to start work. The Army Corps will start preparing work plan and budget. • There are no funds in the President’s budget. Need Congressional support. • Commissioner Martin has drafted a letter for the Governor’s signature. • The Army Corps will start preparing work plan and budget. • Still no funds in the President’s budget. Need Congressional support. 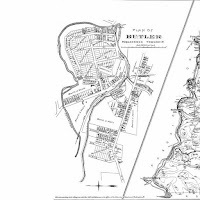 • The Governor sent the Army Corps Lt. General Van Antwerp a letter requesting that the Army Corps prepare a work plan and budget to review and revise flood control project proposals. • A letter from the Governor to the Army Corps signals the start of work. • Meetings were held in Lincoln Park and Fairfield to discuss preparation of the PMP. • At this time, the New York District is currently in the process of developing the PMP that includes the scope, schedule, and cost estimate for the re-evaluation study. executing the cost-sharing agreement with DEP.